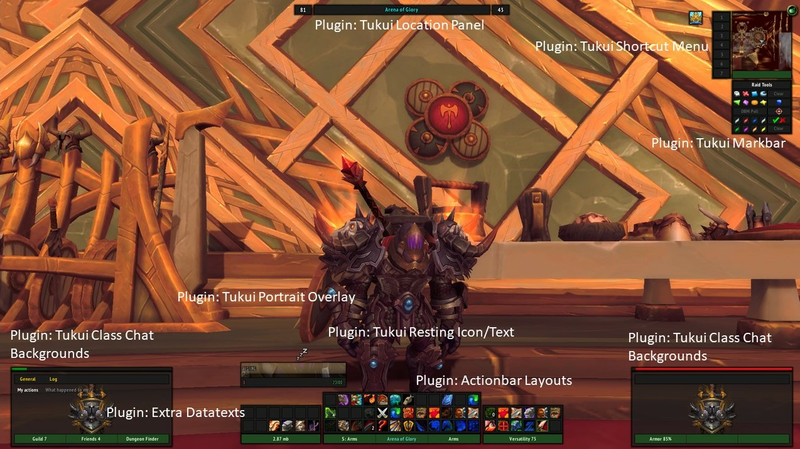 a small plugin for Tukui which adds 5 new datatext entry points at the bottom of the screen. - added in game options to enable or disable it within the Tukui Config. - reworked a lot of code, anchoring player frame etc. the maximize/minimize button under actionbar 1 and 4 ((center bars), overlaps the datatext panel, at login it anchors correct, but when used anchors itself to the actionbars... looking for ideas/help to fix this. The latest version of this addon is 1.12 and was uploaded on Jan 03, 2019 at 00:10. This file was last downloaded on Apr 17, 2019 at 19:16 and has been downloaded 4717 times. Did you try /tukui dt as command to enter the datatext mode? Right click the green areas to set a datatext you like.